It's the same Achilles tendon that he injured last year at Augusta National, which eventually caused Woods to miss two majors last year. 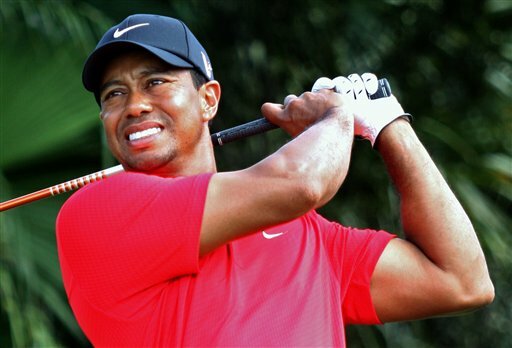 DORAL, Fla. — One week after Tiger Woods showed some of his old magic, he hobbled off the golf course with an old injury. And the Masters is only three weeks away. He was driven off in a cart to the parking lot at Doral, walked gingerly to a black sedan and drove away. It’s the same Achilles that he injured last year at Augusta National, which eventually caused Woods to miss two majors last year. The severity of this injury won’t be known until Woods has it evaluated. NBC Sports showed Woods behind the wheel as he drove away from Doral in the black sedan. “I didn’t really notice anything,” Simpson said. “I wasn’t paying much attention, but it looked like he made a swing on 12 that really hurt. But didn’t say a whole lot. Class act. Shook my hand. Off he went. Woods is scheduled to play in two weeks at Bay Hill, his last tournament before the Masters. Woods is a four-time champion at Augusta National, and with an ordinary game, he still has tied for fourth the last two years. Steve Stricker played with him in the third round Saturday and said he didn’t notice anything out of the ordinary. Woods changed shoes at the turn and was lifting his left leg, slightly flexing his ankle. His limp became more pronounced, especially after he pulled his second shot on the par-5 10th, leading to bogey. The limp grew worse, and moments later, Woods was gone. It’s the third time in three years that Woods has withdrawn from a tournament. The most recent was at The Players Championship last May, when he hobbled off the TPC Sawgrass after a 42 on the opening nine holes. He then took three months off to let his left leg fully heal, returning at the Bridgestone Invitational. Woods said he wanted to make sure he didn’t come back until he knew there would be no more issues with his leg. Since then, he has been able to practice more and adjust to swing changes, and from tee-to-green his golf has looked solid. Woods has had four surgeries on his left knee dating to when he was at Stanford. The most significant was in June 2008, when he had reconstructive surgery to repair ligaments just a week after winning the U.S. Open for his 14th major. Woods has not won a major since then, and he has missed four majors because of injuries. Woods attracted the largest galleries of the week, even starting the final round eight shots out of the lead. When he left, so did most of the crowd.